Mihaylo Hall, Cal State Fullerton’s business and economics building, is one of the university’s newest and nicest buildings. Most famously, the building was at the center of a SWAT manhunt for a robbery suspect in December 2012. 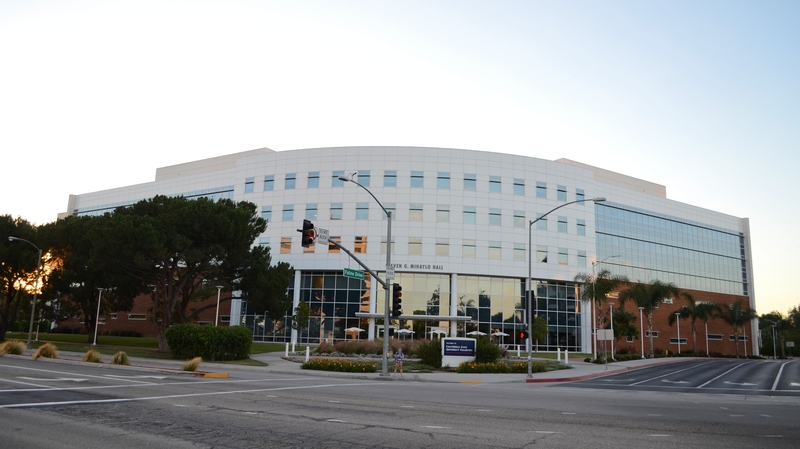 CSUF has a history of the building here.